Springlake Party Center is located on Springfield Lake and is fully air conditioned. We seat up to 300 people. 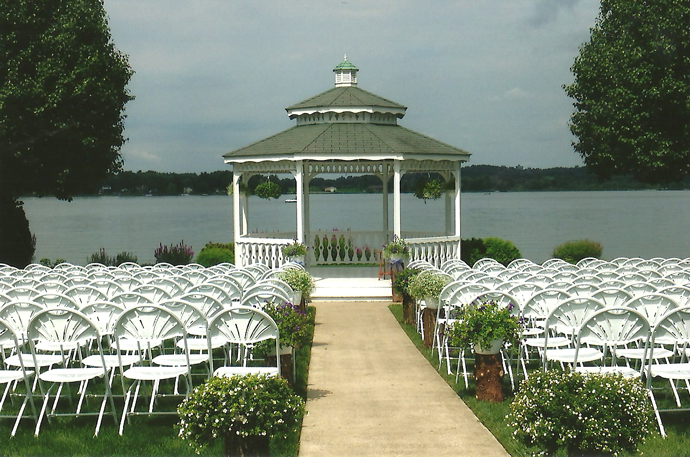 Our beautiful lakeside Gazebo is the perfect place to hold an elegant outdoor ceremony and also makes for beautiful sunset photographs. Springlake Party Center will do all the final touches so your event will be one you will cherish forever. Locally owned and family operated, the Akron/Canton Hot List has consistently ranked Springlake Party Center as a leading wedding venue in Ohio.